While other celebrities, including T.I., were calling on communities of color to boycott high fashion houses such as Gucci after the recent controversy over the brand’s baklava piece which resembled a blackface caricature, a face familiar with such territory was doing the same. 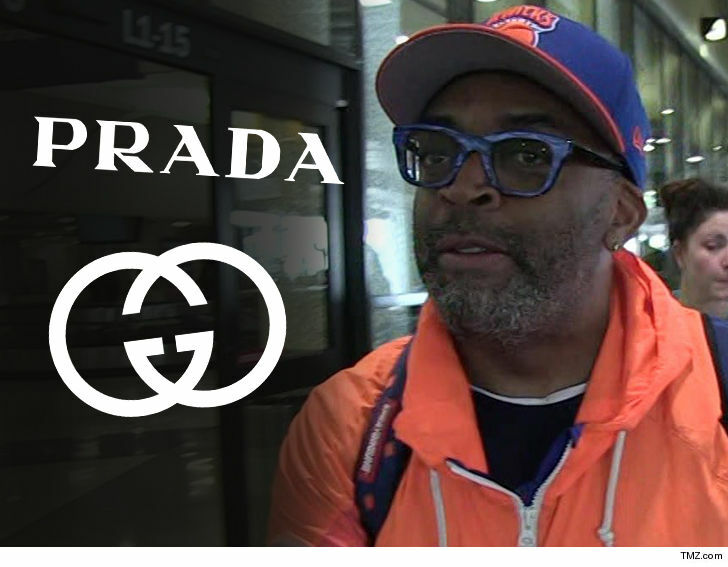 It was on Friday that Spike Lee also stepped onto his socials to urge his followers to join him in boycotting Gucci and Prada as he vowed not to shop with them again until the brands hired black fashion designers. This week, Gucci issued an apology after releasing a high neck black wool sweater that had bright red lips that covered the lower half of consumers’ faces, coinciding withPrada’ss own apology for a monkey charm that resembled blackface. Both of the houses have since removed the items from their websites and storefronts, but have inadvertently opened up a dialogue about representation in high fashion, conveniently in the midst of awards season when plenty of high-profile celebrities are tasked with representing such brands on the red carpet.